…where it’s 30 degrees C – woo-hoo!!! Can’t wait – though recent news reports about air disasters make me slightly jittery! Last night we drove past a landmark I hadn’t seen for well over 20 years which used to fascinate me as a child. On a night out with our closest posse of mates to a charming country pub in the Worcestershire village of Romsley, we passed what was formerly the Bluebird Toffee factory. Sounds thrilling, I know, but as a kid whose favourite book was Charlie and the Chocolate Factory it used to enchant me that a confectionary product should be created in a village near home. When our old family home in Dudley was on the market, my parents used to drive out to Romsley – and other rural villages – of a weekend to look at houses. Bluebird Toffees are apparently now manufactured in Hull, and the Romsley works is now Solus Garden and Leisure, although its gates retain the old ‘bluebird’ logo as a vestige of history. Nath and I went for a brisk five-mile stroll around Little Aston and Four Oaks this morning, pre-rain – just the thing for clearing away cobwebs and setting me up for the rest of the day. I do like my walks. I’m off to see Cabaret tomorrow night, at Birmingham Rep, starring Samantha Barks, who came third in the BBC’s recent ‘Nancy’ competition I’d Do Anything, in the Liza Minnelli role, Wayne Sleep as the Emcee and Jenny Logan – most famous as the ‘Shake n Vac lady’ – as Fraulein Schneider. That’s my Saturday nights taken care of from now until Christmas then! I am delighted to see Don Warrington, who starred in one of my favourite sitcoms EVER, Rising Damp, taking part! I am now entering the draw for tickets. I don’t rate my chances of getting any, as if the studio is the same one in which The One and Only was recorded it is extremely small, and I’m sure most of the tickets are bagged by celebs before us plebs get a look in. But I can only try! If I was to be lucky, though, that would really make my year as I just ADORE this show. I impulsively decided to set up a Facebook group for residents, ex-residents and general lovers of the small Midlands village in which I grew up from the age of eight. You’ll get the prompt that you need to be logged into view that page, though don’t need to be ‘friends’ with me to view it or join the group if you so wish. I do harbour a lot of affection for the old place, despite not having lived there for seven years, and admit I do appreciate it more since I’ve been away. Searches for Swindon online networks have always proven fruitless, so I thought why not set my own up! Larger neighbours such as Kinver and Wombourne have their own Facebook groups, so why not little Swindon? Forming a Facebook group is a new and interesting little project for me. I enjoy having lots on the go; plenty of irons in the fire. Sometimes I enjoy activities like that more than writing fiction. I like the immediacy of it; the feeling of communicating and receiving feedback (if I get some members, that is). 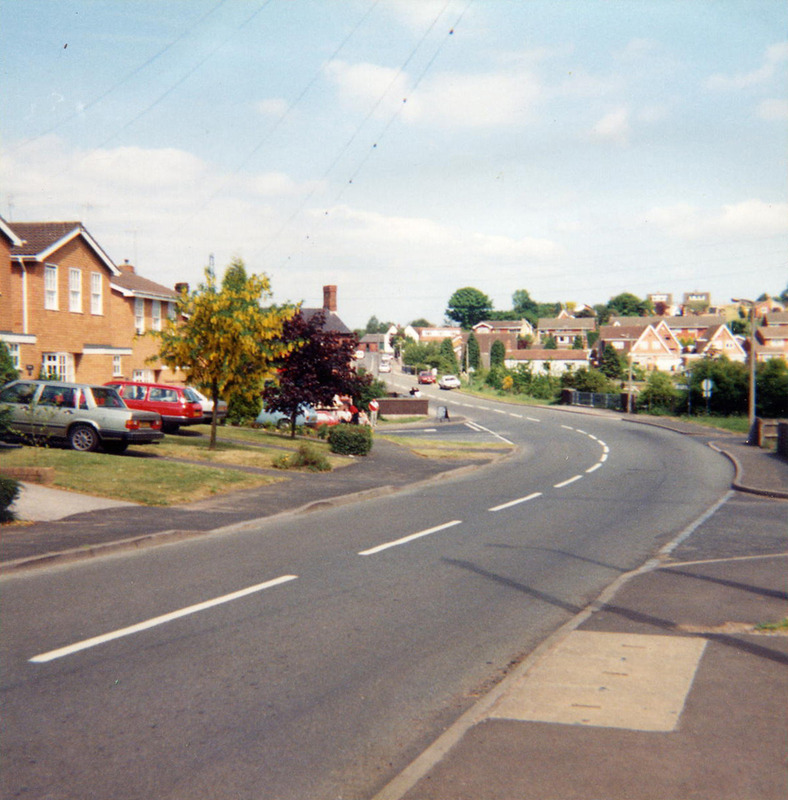 This is a picture of Swindon which is actually almost 20 years old, although the view has not particularly dated since then. This morning I finally sat down at my laptop and DID SOME WRITING!!! Yes, shock horror, after being on such a downer for weeks and consequently procrastinating and making excuses, I started to do some work on my new short story, which I am calling Flash Harry. Double shock horror – once I’d passed the initial barrier of making myself do it, I really enjoyed the writing. It was ultimately a struggle to leave it to switch off and go to work. I got totally into the story, and remembered precisely why I love writing so much. And why I should NEVER give up pursuing it as a pastime (or, if I’m lucky enough, a career). So what if the words I churn out are not exactly Shakespeare! What matters is that they are my words, together on the page they form something creative which nobody can take away from me. I drove to work feeling so lifted and chuffed. I am very much a morning person anyway, and when I am in ‘writing’ mode that 7:30-8:30am period is traditionally when I am most alert and prolific. My confidence was in rags following that RNA critique. I really want to get it back. Today I hope I have at any rate finally unlocked my writer’s block. I’m moaning again, but my writing has gone to pot this year. All the critiques I have had on writing websites of late have been tough. With each one, part of me withers. My confidence has never recovered from that vile RNA review of Gap Year. I currently find more pleasure in writing this blog than any stories. I really hope the Open University course on which I will embark at the end of October will reverse my fortunes. I need it to give me a kick up the arse and instill me with a bit of confidence and discipline. I feel in the same situation as I was just before I started Creative Writing evening classes at my local adult education centre back in 2002. Well that course worked wonders for me – maybe this will too? I have paid a substantial sum to undertake the Start Writing Fiction course, and I intend to work my balls off at it. I want to write as though my life depends on it, and get as close to 100% in all my assignments as is humanly possible. I am a mad fan of this show, and since February when we had such a ball going down to TV Centre to see Nath perform on The One and Only I have also had a yearning to be in the audience for another programme. I always said Strictly would be my number one choice to go and watch. I probably won’t be lucky enough to get tickets, of course, it’s such a lottery, but I have to at least give it a go. Nothing ventured, nothing gained. We thoroughly enjoyed our first Sunday roast (and no, I’m not using that word in its unsavoury modern context) for several weeks last night. We tend to forego them on summer Sundays, in favour of ‘barbecue’ style steaks and drumsticks with quick salad meals – partly because we are often out and about during those months and partly because it’s simply too hot to be kitchen-bound at such length. But now, in mid-August, having descended to miserable temperatures more befitting of November (and which necessitated us having to turn the fire on yesterday afternoon – the bloody fire, I ask you!!! ), we are back to the more traditional Sunday dinners. I have to say I had missed them. The return to a bit of chicken or pork with wintery veg as opposed to lettuce is one of the few things I do like about the progression into autumn. The season has a darkening, ‘back to school’ feel – yet also certain features that make me feel cosy. I am reminded (poetic rambling alert!) of Saturday afternoons watching rugby on Grandstand with my dad, followed by kippers and bread and butter for tea in front of The Generation Game and Big Break (ah, them were quality programmes in them days)! Over the weekend I have made the final steps to convert Classmates and Gap Year into pdf format ready to submit them to the bookbinders. I finally e-mailed them off this morning. The process has proven a fiddly nightmare. I just hope the finished books look good. My short story A Civil Wedding has come winging it way back from Yours magazine, to which I submitted it a couple of months ago. It’s disheartening, of course, though hardly surprising. I am attempting to be undaunted, and am now dispatching the story to another magazine, Take a Break. It is hard not to feel useless and discouraged. Oh well, at least there’s tai chi tonight. And we’re going on hols to Italy in a few weeks!!! For the last few weeks I have been obtaining quotes from various bookbinders from around the country for the purposes of getting two of my novels, Classmates and Gap Year, professionally bound. They are never likely to be commercially published, so I thought at least after working so hard on them I can get them into ‘book’ format so they are readable. I finally settled on a company and am currently preparing the books in the format required. Rereading Classmates especially, my first novel which dates back to 2003, has been a real trip down memory lane. It is interesting and rather strange seeing how my style has developed and (hopefully) improved since then. I hadn’t looked at that manuscript for a very long time indeed, and when I did last night I was instantly transported back five years, to when it was all so exciting to be embarking on my first attempt at novel-writing. I wasn’t so jaded and cynical then, y’see; my confidence had not been knocked by dodgy reviews. I set Classmates in the 1980s, during the protagonist’s childhood, and – like a lot of first books – many of the scenes were heavily autobiographical. I had enormous fun reliving those cheesy 80s and early 90s memories, and researching the features of that decade which were slightly hazier to me. Why can’t I get my groove back when it comes to writing? I lack motivation at present. Classmates was raw, no doubt about it, but there was a brashness about it somehow; an ‘I know this isn’t Jane Austen, but I’m enjoying writing it so much I don’t care’ feel. My second effort, All the Rage, was like that too really, but when it came to Gap Year I seemed to lose my way somewhat – possibly because I was having to ‘invent’ more rather than draw or embroider on memories. This was borne out when Gap Year was absolutely slated by the RNA, as a result of which I wept for two days.